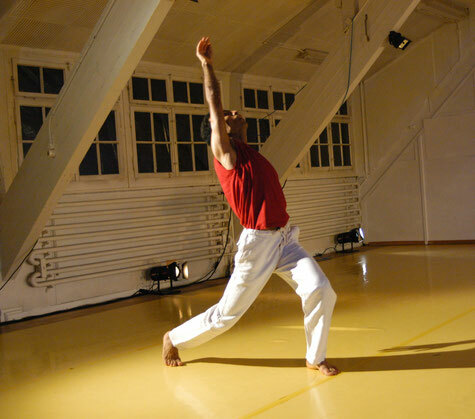 Driss Bouissa is a dancer and choreographer and movement researcher. He was born in Morocco. He specializes in contemporary and modern dance. He is a member of the international dance council (UNESCO). Driss is also a blogger and public speaker. Driss has started learning dance, singing and guitar at the communal Conservatory in Casablanca (Morocco), then at the National Conservatory of music and dance. In 2003 Driss moves to Paris (France) to follow professional studies at the High school for performing arts (Ecole supérieure du spectacle ). In 2004 he receives scholarships to continue his studies at the Dance loft (Switzerland),were he hadthe opportunity to focus on contemporary dance and work with famous choreographers such Isabelle Gotzkovsky (Germany/USA), John Brooks from the Jennifer Muller dance compagny (the Works/USA), Philip Egli (Former director of the St-Gallen Theater), and Marcello Pereira (Brasil). As a signer, Driss took part at the intercultural musical project« Leh ya jarré » in 2001, directed by Fortunat frülich (a Swiss Choir director, music composer and arranger), at the RABAT Music Festival , then toured Switzerland with the choir of the Conservatory of Rabat. Driss has danced with Isabelle Gotzkovsky in “Fly but don’t”,with Marrcello omine (Brasil/Germany) in« el candor passa » in 2005 as well as with Santiago sempere (Spain). Songs : Loghram, Leila, Ghab ...and more. Conscious of the importance of knowledge and technique transmission, and the lake of dance teachers in Morocco, Driss gives regular dance workshops and lessons, especially at the French Institute of Meknes, the Music and dance conservatory in Meknes, the dance academy in Rabat, and at Elite danse in Marrakech. He also gives regular workshops worldwide especially in France & Italy. While focusing of free dance & contemporary, Driss provides a wide range of dance style from Belly dancing, to jazz & afro-contemporary dance. You need choregraphies for a Movie/ film in Ouarzazate/Morocco, musicals, or special events, get in touch with Driss and his dance company and order a choreography especially designed for your project. Driss owns a rich repertory of dance works ranging from jazz dance, belly dance, musicals and contemporay dance.